In addition to research papers and speaking, I produce work that may be useful on your technology transformation journey. Clicking on the image will take you to the report or article. The 2018 report is the most comprehensive yet, investigating cloud (and the importance of doing cloud right), open source, outsourcing, and availability. We revalidate the impacts of technical practices, lean practices, and culture on software delivery performance, which drives business outcomes. This report extends on the 2014 study, again linking IT and organizational performance. We also identify key aspects of continuous delivery and lean management practices, and find they make work better and make work feel better, by improving culture, decreasing burnout, and decreasing deploy pain. The 2017 report extends our model of organizational performance to cover non-commercial measures and the impact of IT performance on business outcomes. We investigated the impact of transformational leadership on DevOps practices and outcomes, and how to enable continuous delivery through effective architectural practices. 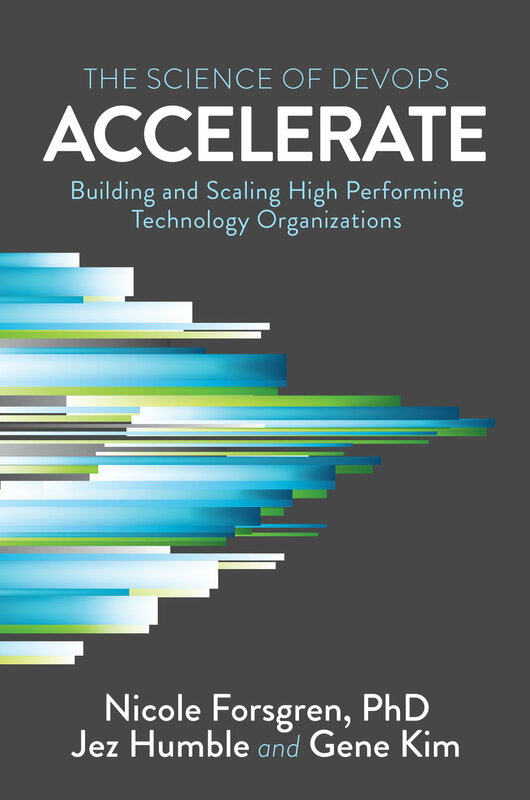 This report is among the first linking IT performance to organizational performance. We define IT performance as the ability to develop and deliver code with both throughput and stability. The data shows that technology, process, and culture are all necessary pieces of a DevOps (and overall technology) transformation. This report investigates new areas of technology practices, lean product management, and culture while also looking into new outcome measures like quality and security remediation. We find that high performers are pulling away from the pack. The report includes a framework to help teams think about the ROI of DevOps. Available on Amazon now. Click here for more information. This white paper shows how software does much more than just save money for organizations: technology is a value driver and innovation engine. The paper uses key metrics from our own work on the 2016 State of DevOps Report (done in collaboration with Puppet) as well as other industry averages to help you estimate the ROI of your technology transformation. This white paper identifies key characteristics of transformational leaders to help drive meaningful change in organizations. It provides a self assessment to help leaders identify the areas they can improve, and then resources and exercises to “level up” and make an impact. This white paper identifies and evaluates key practices to lead change in your organization to support the adoption of DevOps practices and patterns. The paper includes advice for leading change across different levels in the organization. This white paper identifies key metrics for a DevOps journey and provides practical guidance, including case studies and some examples from several of the leading experts in the field. This ModelViewCulture article summarizes some of the latest research in the space, and highlights the opportunities we have by embracing the groups we traditionally ignore. This cover story in Better Software Magazine highlights the importance of culture in any technology initiative, showing that the ability to deliver quality software with speed requires a huge shift in the way technology is managed through the organization. And this will mean establishing the right culture. This featured article in ACM Queue's special DevOps issue highlights this point: Neither system data nor survey data alone can measure the effectiveness of a modern software delivery pipeline.